When I first heard The March Divide, I didn’t think that I would like them—or at least, I didn’t think that I would like them for this long. 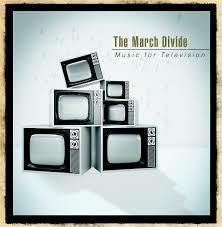 At their core, The March Divide could be described by some lazy reviewers as being pop rock or pop punk or indie pop or something with pop mixed in. As an accompaniment to the full length, this EP makes for a great added bonus in many ways. But that isn’t to say that this EP can’t hold its own.